Full of learning and fun . 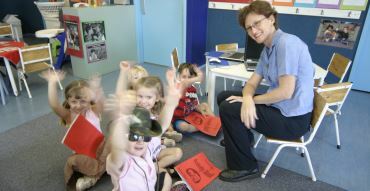 . . Computer Gym teachers provide weekly computer-based lessons to Australian pre-school children at childcare centres, pre-schools and kindergartens. Your child will learn much more than computers. 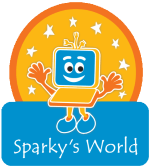 a large variety of software, extending your child’s skills through our specially developed curriculum. You can see from the list above that Computer Gym lessons include a huge range of skills and topics. Our curriculum has been designed by Australian teachers to build on the learning programmes that your child is currently receiving. 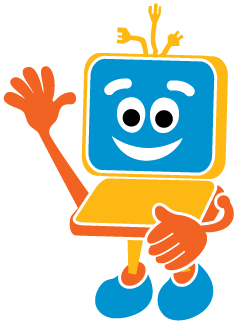 Computer Gym reviews and selects the finest Australian and International children’s software. We then incorporate the best sections into our curriculum. As a result, your child will have access to hundreds of great skill building opportunities. Now is the ideal time for you to enhance your centre’s computer-based learning programme, without any hassles or extra costs. Introduce a service with a proven track record, which parents and children love. Computer Gym lessons benefit your centre by providing a unique learning environment. and parents and children love it! You can see from the list above that Computer Gym provides much more than basic computer skills. Pre-school children benefit from the range of activities and software that we use and the low ratio of just 6 children in a group at a time. We would love to give you and your parents the opportunity to see how Computer Gym works. Contact your nearest Computer Gym operator to arrange a free, no obligation demonstration. Gemma is enjoying Computer Gym and happily works in her activity book. We’ve seen an improvement in her approach to using computers at home (she’s now more gentle as well as more confident and skilled with the mouse etc). We like reading the skills assessment and comments in her activity book (it lets us know the teacher has seen it, for one thing). My daughter Darcy Jo has developed amazing skills. I am very impressed at how she negotiates her way around the screens with her mouse. She asks me almost everyday to log her onto the ABC Kids website so she can play all the games and puzzles. Thank-you to Jo who has done an amazing Job. Darcy loves it! This is the best thing I have ever done – Dylan, aged 4. Great program and great idea with the work book that reinforces the concept learnt! Max has gained a lot from doing this project. I feel he will have a good start at Primary School next year. Max has really enjoyed the program! !